If you're looking to ease arthritis pain naturally, supplements containing bromelain may offer some relief. 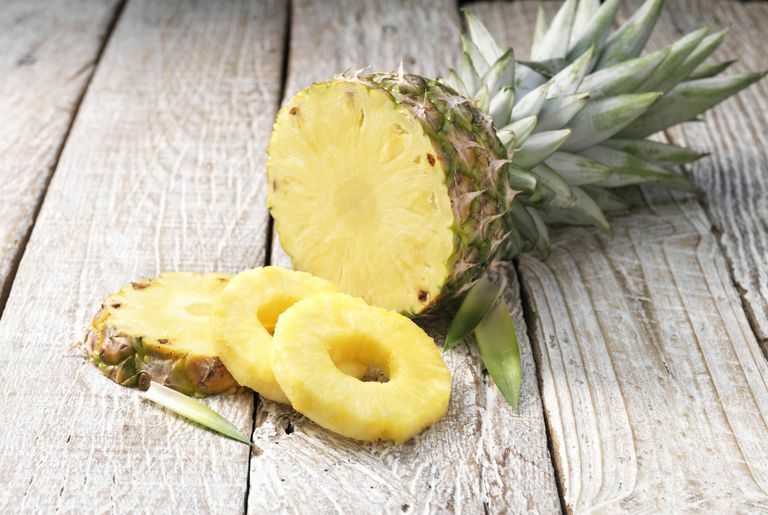 An enzyme available in the juice and stem of pineapples, bromelain has been found to fight inflammation, a biological process known to play a major role in arthritis. Although research on bromelain and arthritis pain has yielded mixed results so far, some studies show that bromelain may aid in arthritis management. The National Institutes of Health (NIH) classifies bromelain as "possibly effective" for osteoarthritis (the most common arthritis form) when used in combination with trypsin (an enzyme) and rutin (an antioxidant found in certain fruits, vegetables, and herbs like ginkgo biloba and St. John's wort). According to the NIH, the combination of bromelain, trypsin, and rutin may be "about as effective as some prescription painkillers" in the treatment of arthritis pain. For a 2006 research review published in the journal Arthritis Research & Therapy, investigators analyzed nine clinical trials on the use of bromelain for treatment of osteoarthritis pain. Seven of those trials found bromelain was at least as effective as diclofenac, a non-steroidal anti-inflammatory drug often prescribed for osteoarthritis, while the other two trials found bromelain to be no more effective than placebo. In an earlier review (published in Evidence-Based Complementary and Alternative Medicine in 2004), researchers found that bromelain shows promise as a treatment for osteoarthritis. However, the review's authors caution that further trials are needed in order to establish bromelain's effectiveness as an arthritis treatment and to determine the optimum dosage. To date, there is a lack of research on the use of bromelain in the treatment of rheumatoid arthritis. It should be noted that bromelain may cause certain side effects (including diarrhea and stomach upset) and interact with some medications (including antibiotics and blood-thinning drugs). Due to a lack of research, little is known about the safety of regular use of bromelain supplements. Although there is not enough scientific support to recommend bromelain as a treatment for arthritis, it's possible that bromelain supplements may be of some use in soothing osteoarthritis pain. It's also important to note that self-treating a condition and avoiding or delaying standard care may have serious consequences. If you're considering the use of bromelain supplements in the treatment of arthritis (or any other condition), consult your primary care provider before starting your supplement regimen. Ameye LG, Chee WS. "Osteoarthritis and nutrition. From nutraceuticals to functional foods: a systematic review of the scientific evidence." Arthritis Res Ther. 2006;8(4): R127. Brien S, Lewith G, Walker A, Hicks SM, Middleton D. "Bromelain as a Treatment for Osteoarthritis: a Review of Clinical Studies." Evid Based Complement Alternat Med. 2004 Dec;1(3):251-257. National Institutes of Health. "Bromelain: MedlinePlus Supplements". December 2010. When Is a Toradol Injection Indicated for Arthritis Pain?